This morning, when my wife and I took off on our trail run, I started my exercise timer app. A few hours later, we returned to the starting point, got in the car and drove home. Pulling into the garage, as often happens, I realized that once again I’d forgotten to stop the timer at the end of our run. Yet another set of recorded training data messed up. Whether it’s Strava or RunKeeper on my iPhone, or my Garmin Forerunner device, this problem happens so often that it got me wondering about possible solutions. Since the great majority of my routes—whether running, hiking or biking—start and stop at the same location, this particular problem could be solved if GPS device and app makers added a simple “looping auto-stop” setting that automatically stopped the timer whenever I returned to my starting point. So simple, yet effective! I’m going to forward this article to the folks at Garmin and Strava, in hopes they’ll add this feature to their products. And if you like the idea, maybe you can do the same. 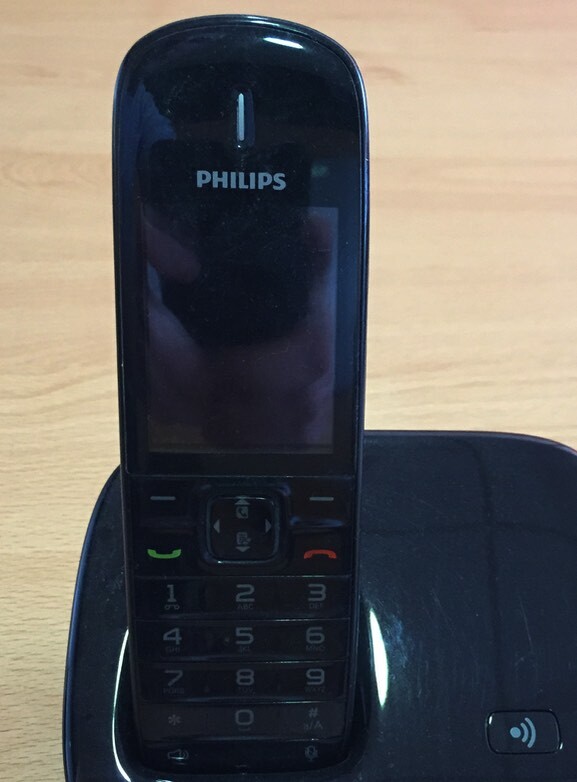 After years of using Siemens phones at work, I replaced the last phone with this one from Philips—and as a consequence I’m going to lose my hearing. Every phone I’ve owned has worked in the following way: The act of pulling the phone out of the base answers the call—i.e. it rings, you pull it out of the base, put it to your ear, and start talking. Not so with the Philips. With the Philips, you actually have to press the green telephone icon to answer the call. The consequence of that, of course, is that now when the phone rings, I pick it up, put it to my ear, say “Hello” and then…the phone blasts the next ring directly into my ear! Philips — The company all about Innovation. Design. Change. PS: If you’ve called me recently, and I seem to be in a bad mood when answering, you now know why. In my daily work, as well as the maintenance of three blogs, I frequently need a tool that allows me to conveniently share files and screenshots. This article discusses my search for that elusive perfect app. For many years, I stored the majority of my data in Dropbox. A few months ago, however, I migrated to BitTorrent Sync (BTS), and haven’t looked back. This article explains why. 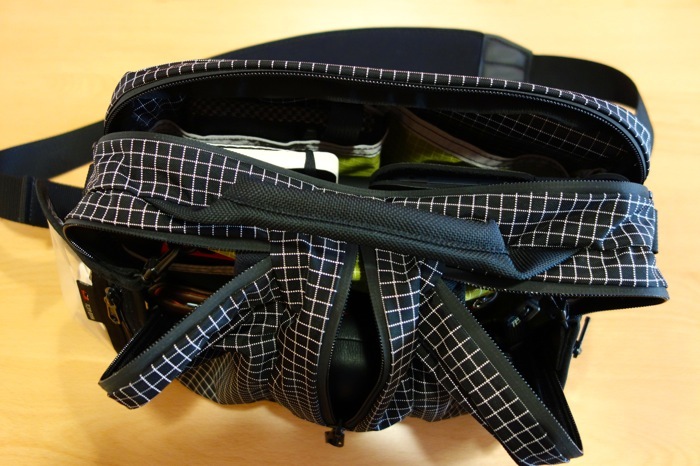 A bit more than a year ago, I posted a article on the Dafacto blog about switching from a Tom Bihn Ristretto to Co-Pilot, as my daily carry bag. And during the past year, I have come to love the bag even more; its organizational structure and capacity is absolutely perfect for my daily commute to and from the office. There is one small problem, however, and that is that the Co-Pilot is just barely wide enough to insert an 11“ MacBook Air. As a consequence, as I’ve inserted and removed my MBA twice daily during the past year, the frequent contact and rubbing has caused the main-compartment zipper to become detached from the bag. This in no way reflects badly on the construction of the bag. Indeed, Tom Bihn is known to have among the best construction in the business. Rather, it’s simply a consequence of me needing to carry a device for which the bag was barely not designed. Some goodies arrive in the mail today from the good’ol US of A, and I’m excited to show them to you. I love the Nespresso coffee system. In fact, Nespresso almost does for coffee what Apple does for electronics and digital. Elegant, well-designed coffee makers, combined with a convenient and clean capsule system, and supported by a fast, online ordering system results in a great user experience, and a near-perfect coffee every time. But, as with all things, there’s still room for improvement. 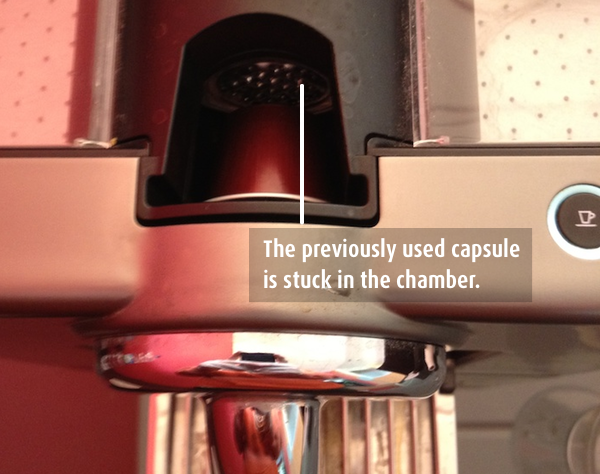 Frequently, in our three-year-old “Cube” coffee maker, the previously-used capsule remains stuck in the capsule chamber. About the only way we’ve seen to get it out, is to start the coffee process, and open the chamber while the high-pressure water is flowing, which usually results in the old capsule being ejected and cleared away. Hopefully, Nespresso will solve these problems in their future models.